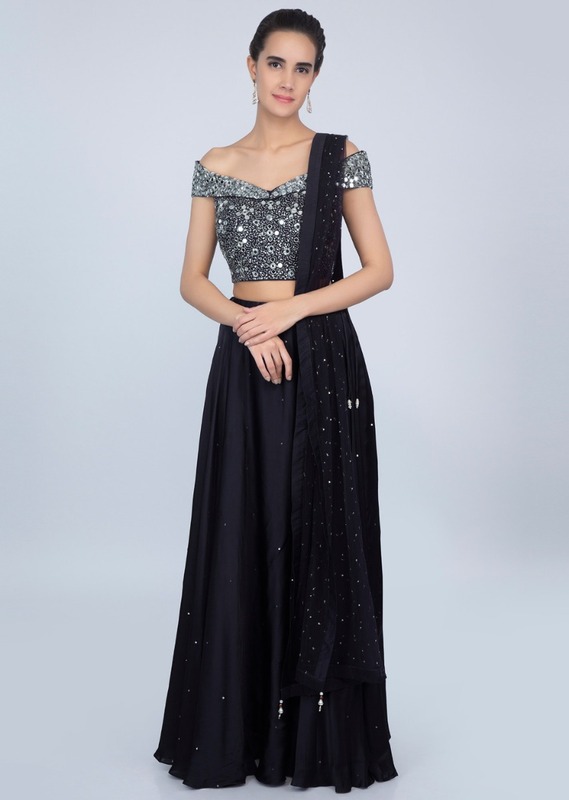 Mid night blue satin lehenga with scattered sequins. 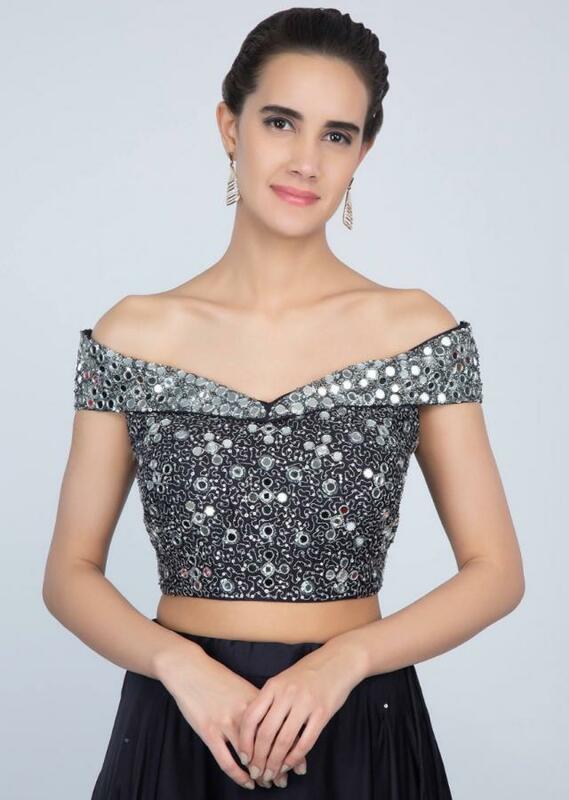 The blouse is adorn with zari, sequins and mirror work. 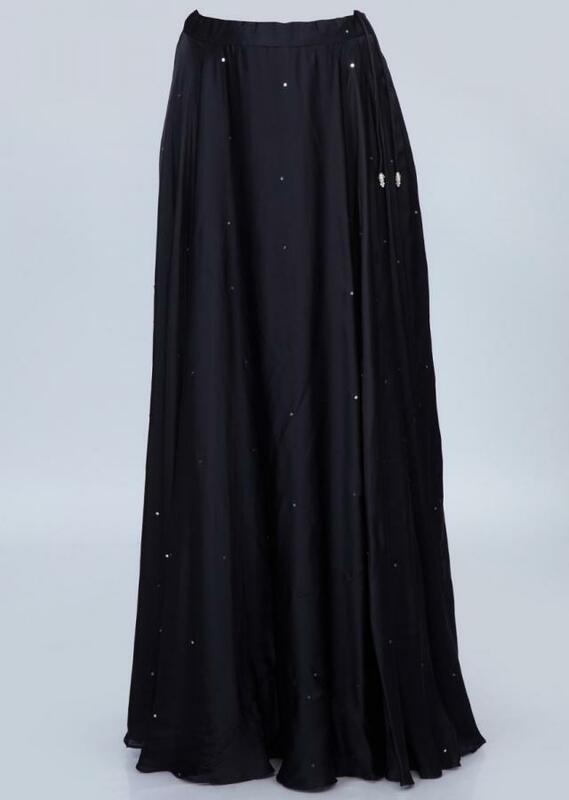 It has sheer net back with side zip opening. Teamed up with a matching net dupatta with scattered sequins .